3. 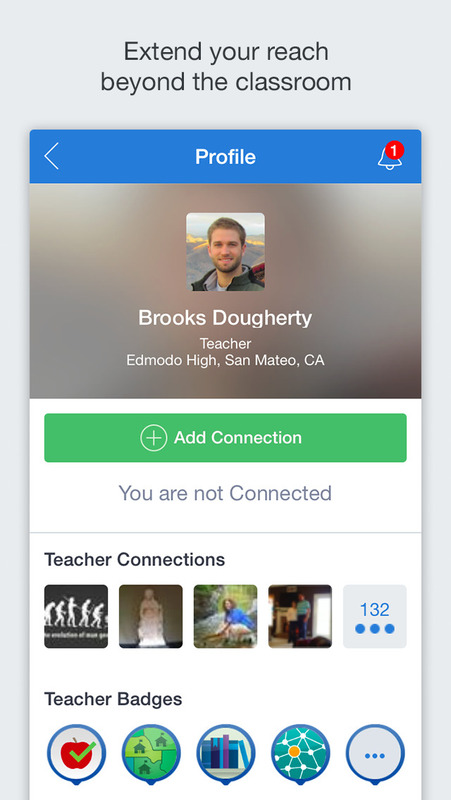 Tap "Invite Parent to Edmodo"
With over 40 million users, Edmodo is the largest, fastest growing social platform for education. 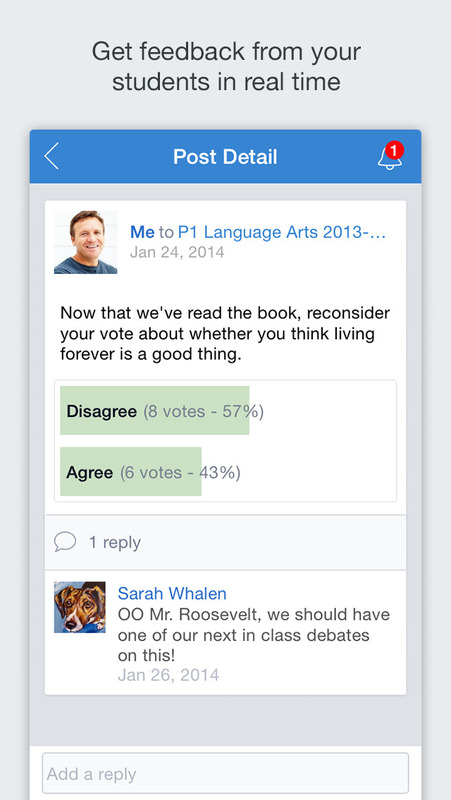 Awarded the 2013 EdTech Digest Award for Best Product, Edmodo makes the idea of a paperless classroom a reality. Questions? 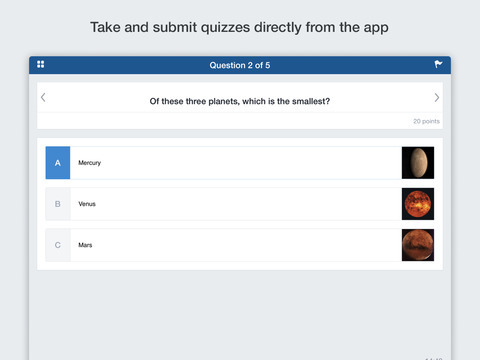 Visit https://support.edmodo.com/home#mobile to access our award-winning support center. 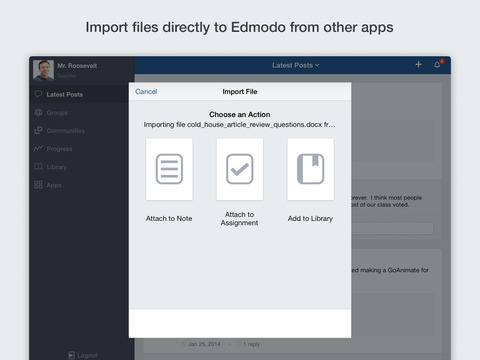 Edmodo for iOS is now available in Spanish. 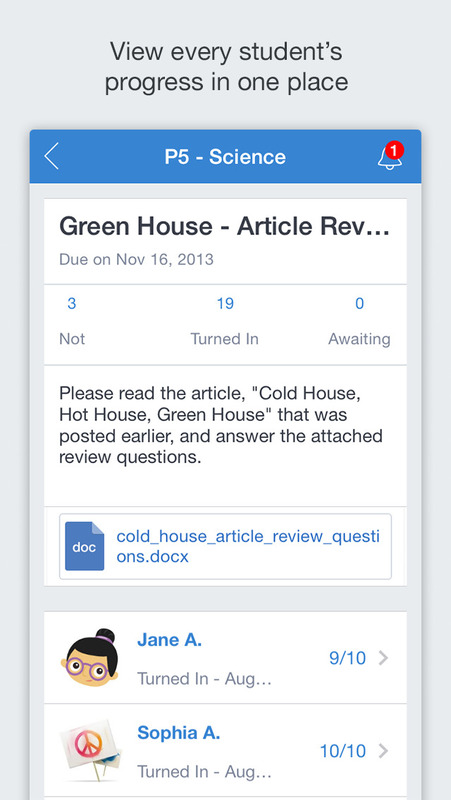 A few bug fixes in the profile pages, including saving your career choice and learning style correctly.